It's Not Work, It's Gardening! 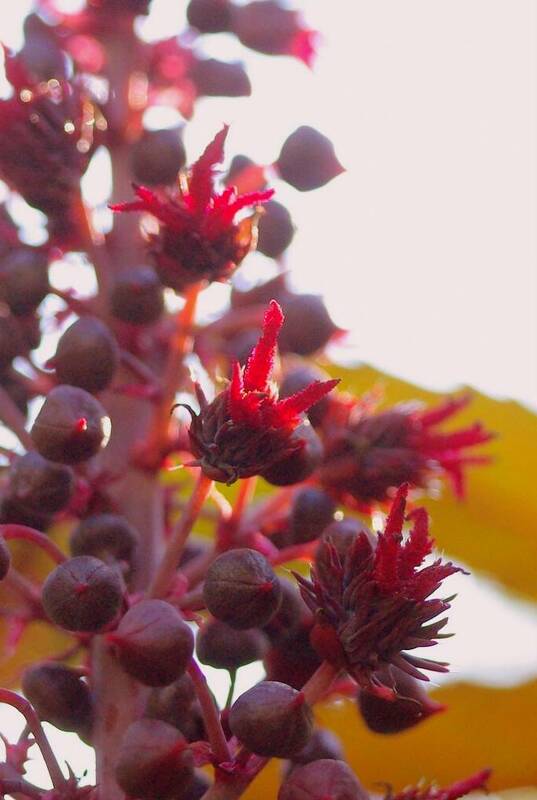 : Some castor bean love! 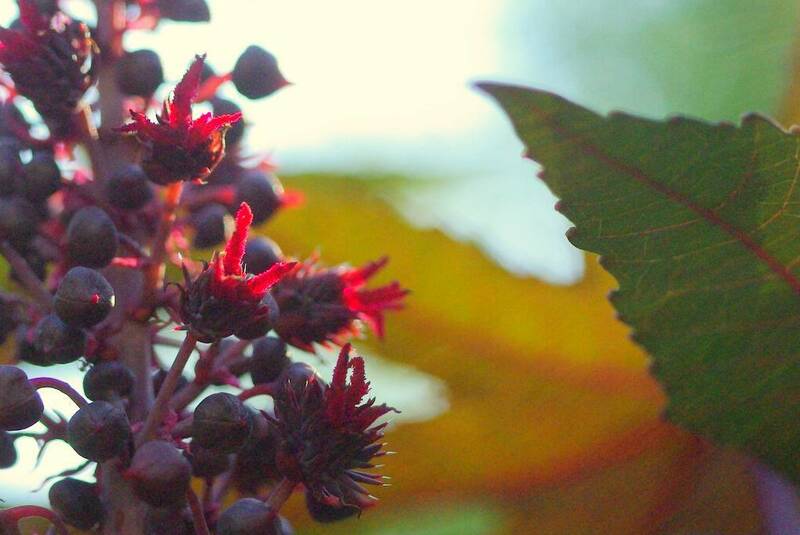 Castor bean (Riccinus communis) is one of my favorite plants in the garden. Its big, dark leaves really complement the fine texture of all of the bamboos, and they become a focal point wherever they appear -- and they appear in many places in my yard! These are grown as annuals here, and by the end of the season they've usually reached 8-10' (2.4-3m) tall. Very impressive and imposing! I grow the purple-leaved varieties, 'Carmencita' and one simple labeled as "Deep Purple" by my seed source. Beautiful from across the yard, but wonderful up close too. 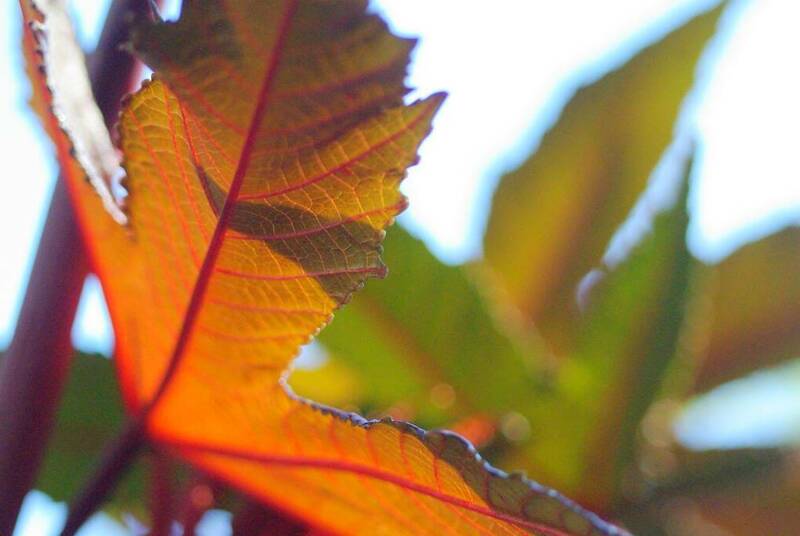 I especially love the way the morning sunlight illuminates the leaves. When seen from below (which is pretty much the only way to see them when standing next to the plant) they're an amazing mix of colors and textures. Here's a quick look. These are photos of the "Deep Purple" variety (is it the 'New Zealand Purple' cultivar I wonder?) if you're wondering. Though it is still summer but it looks like you are ushering in autumn in early. 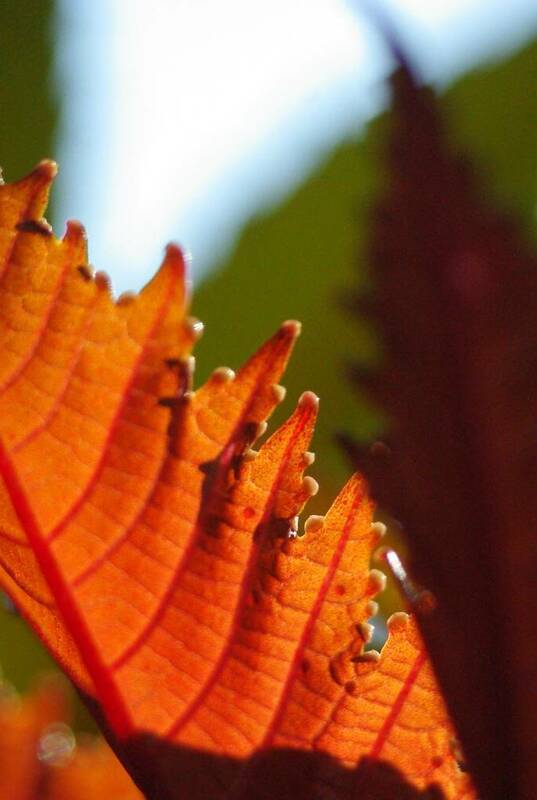 These are glorious images of rich autumnal colours. 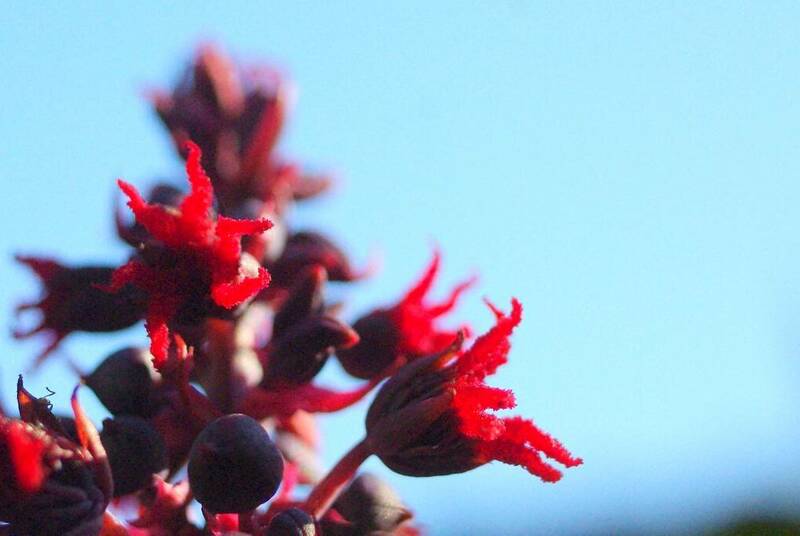 I fell in love with castor bean plants when I saw them in Paris. Aren't they poisonous? We have some small children in our neighborhood so I've been reluctant to plant them. I think you can make ricin from castor beans. The things you learn watching tv! Great Photos! I Love the way you use the sun in the background to light up the foliage. And such a great color against all of the green found in summer. Thanks for sharing. 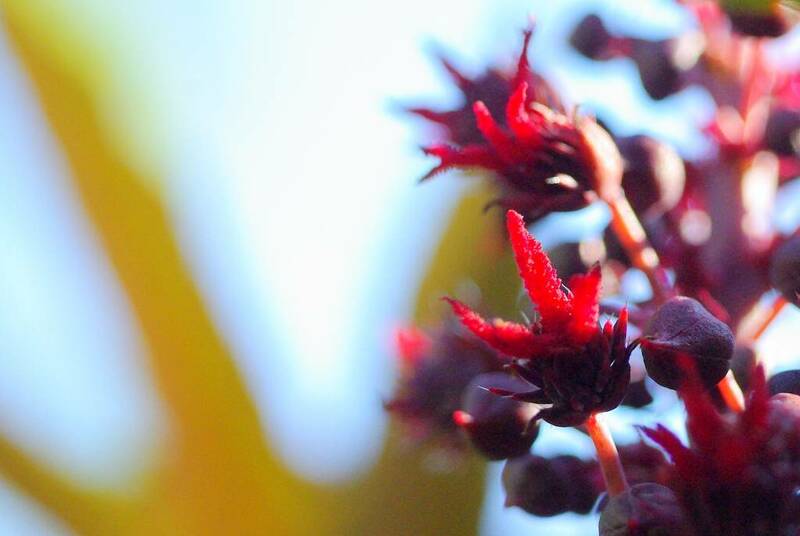 I believe you, that castor oil is really beautiful especially if they came out of the lens like your photos, splendid. 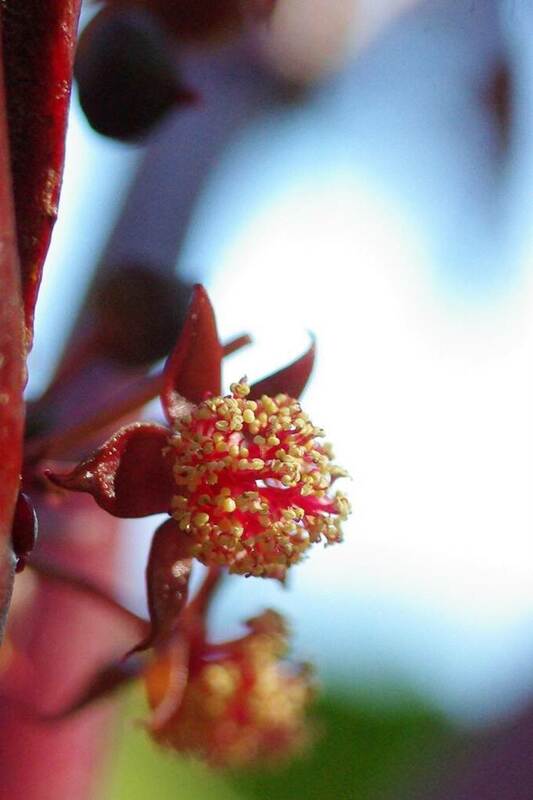 However, here it is not cultivated as ornamentals, they are just scattered in barren areas as big weeds. But they are really lovely. I really love this plant. 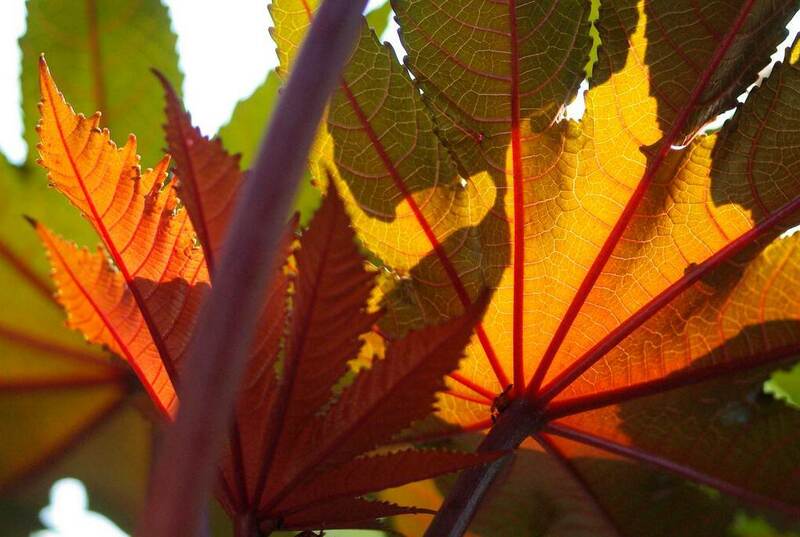 Stunning foliage!